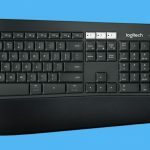 Logitech’s new K480 Bluetooth keyboard works with all of the devices we use every day – smartphones, tablets and computers – to make typing even easier. 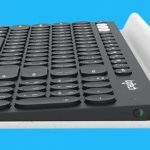 Whether you need to type out a document on your computer, write a tweet on your smartphone or update your Facebook status on your tablet – the Logitech K480 can connect to all three. 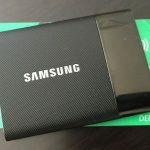 And it doesn’t matter whether you’re using a PC, Mac, iOS device, Android or Chrome OS or a mixture of them all. An Easy-Switch dial located on the left edge of the keyboard makes it easy to switch between three connected devices. Available in two colour schemes – white/grey and black/green , the Logitech K480 has a full six-row keyboard filled with rounded keys. There are even the familiar shortcut keys for Macs and PCs and for Android and iOS devices. 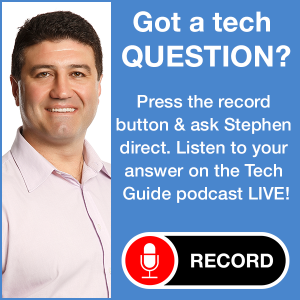 On the right side are the pairing keys that allow users to link the keyboard with one for Mac or iOS devices and the other for PCs, Android and Chrome OS devices. Pairing the Logitech keyboard to three devices took a couple of minutes and we found an instant connection to each device whenever we flicked the selector switch. The only thing you need to do is remember which device is stored in which position – 1, 2 or 3. There’s also a slot near the top edge which can hold a smartphone or tablet – or both – at just the right angle while your typing. 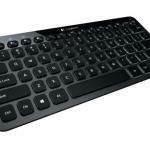 With the Logitech K480 you can have a single keyboard that can be quickly and easily switched to type across multiple screens. 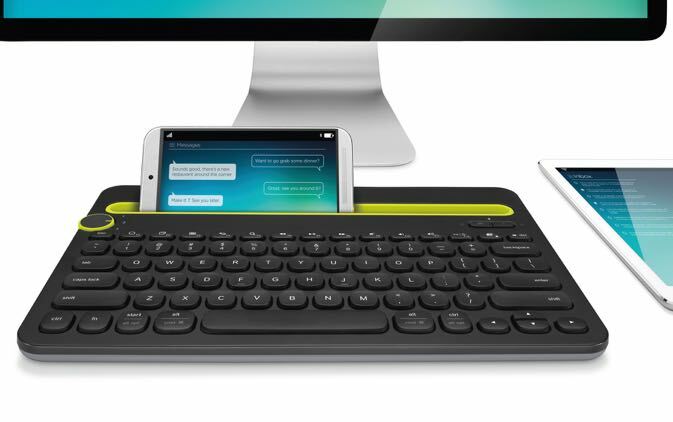 The keyboard has four rubber feet so it’s stable enough to type on any surface. Those who prefer a keyboard with a slightly upward angle will have a flat keyboard with the K480 just like a laptop but typing was still pretty easy. The large rounded keys protrude a little higher than the keys on a regular keyboard but we liked this extra tactile feel. The K480 is powered by two AAA batteries. 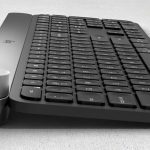 If you’re using multiple devices every day and want to make it easier to type on all of them with a single device – the Logitech K480 keyboard is just what you need.